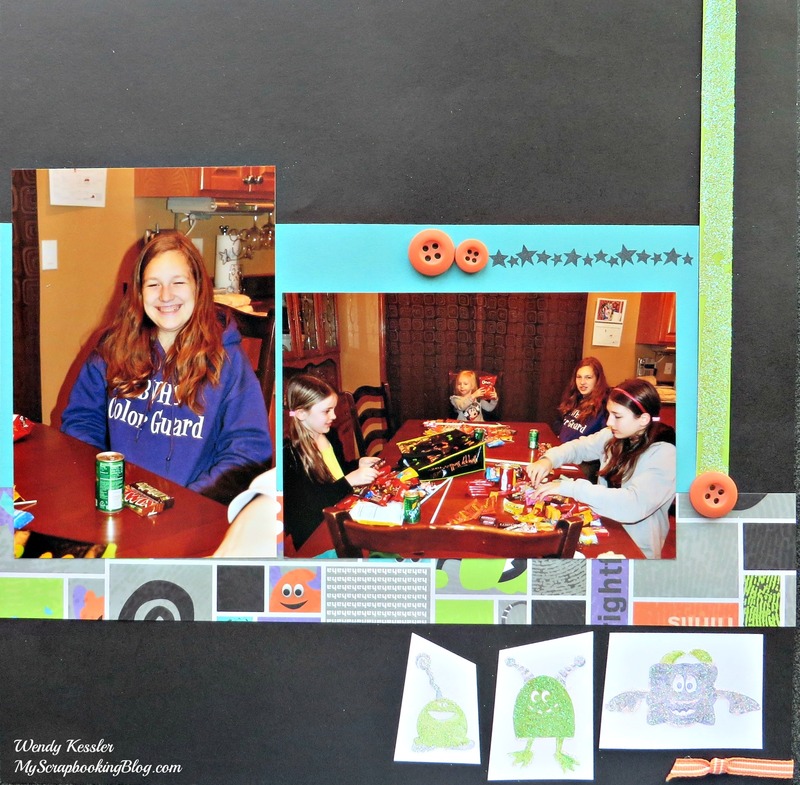 Here’s a layout I finished using last year’s Jeepers Creepers paper. 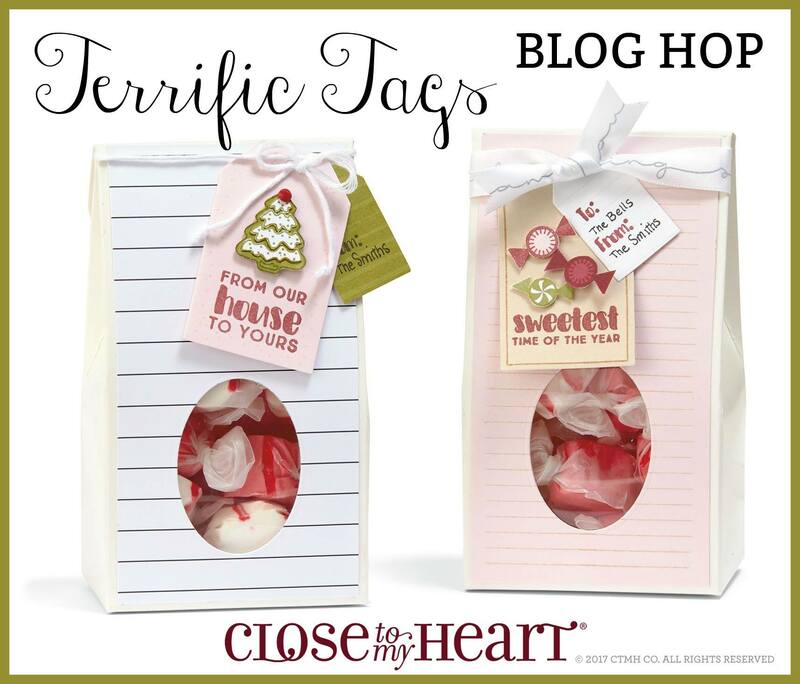 Welcome to this month’s CTMH Technique Blog Hop. If you have already started the hop, you should be coming from Judy Faye Garner. Supplies used are all Close to My Heart: Enchantment Fundamentals Paper Packet, Gold Foil Paper, Thin Cut – Basic Tags, Operation Smile Punny Pals Stamp Set, Punny Pals Thin Cuts (Share a Smile Special), Watercolor Pencils, Black Memento Ink, Alphabet Embossing Folder, White & Gold Ribbon, and White Daisy Cards & Envelopes. 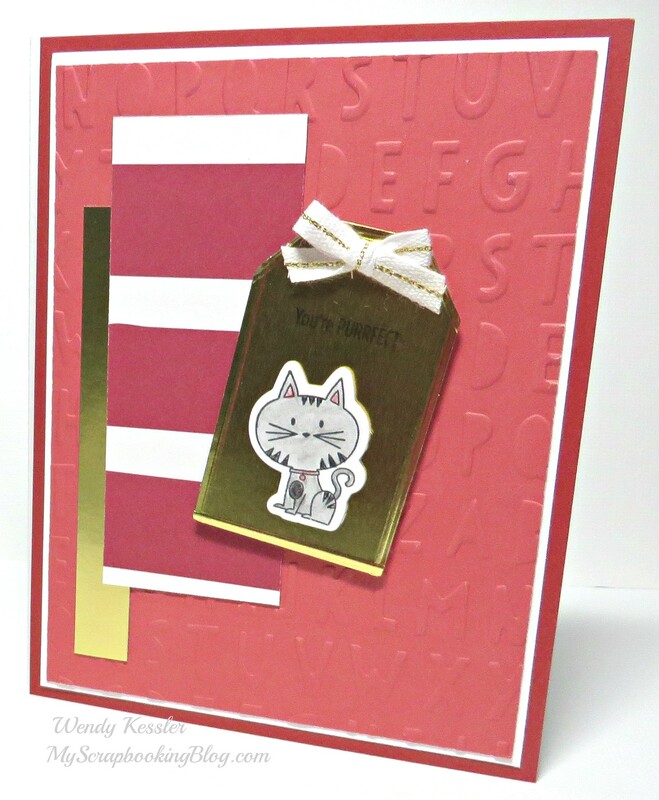 I used the Thin Cut tags to cut the foil paper, then I embossed lines around the outside to add a little extra touch. 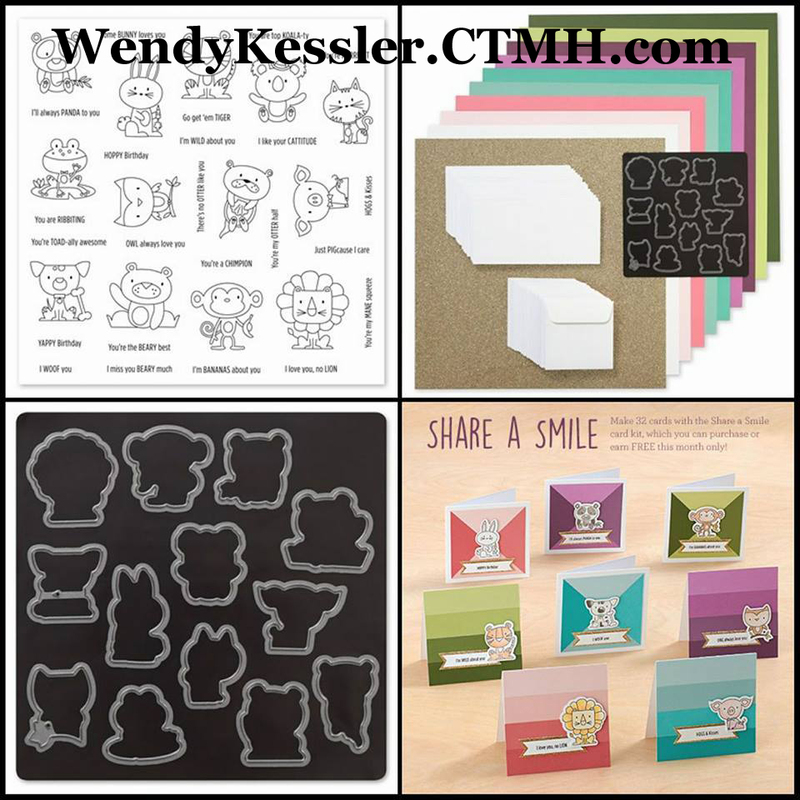 Wendy Kessler – You are here! at a discounted price! 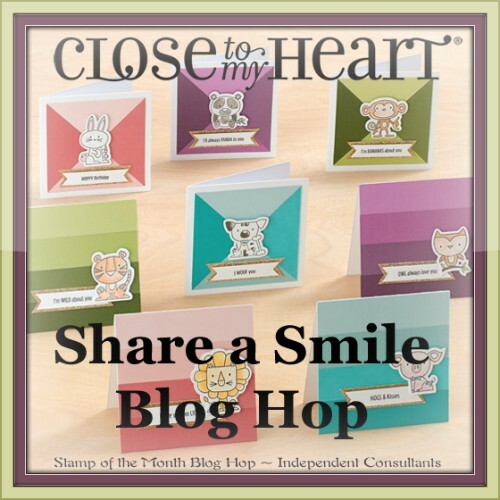 Create these delightful cards and use them to share smiles all around! * Close To My Heart will match round-up donations made in October up to $10,000 USD. Offer available October 1–October 31, 2017 while supplies last. Shipping and handling assessed on retail value. 13 metal dies; coordinates with My Acrylix® Punny Pals stamp set (D1751) Stamp set sold separately. 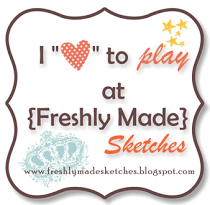 * If you are cutting the circles with your Cricut, they are 1″ and 2 1/2″. * When masking, stamp your mask on a sticky note. 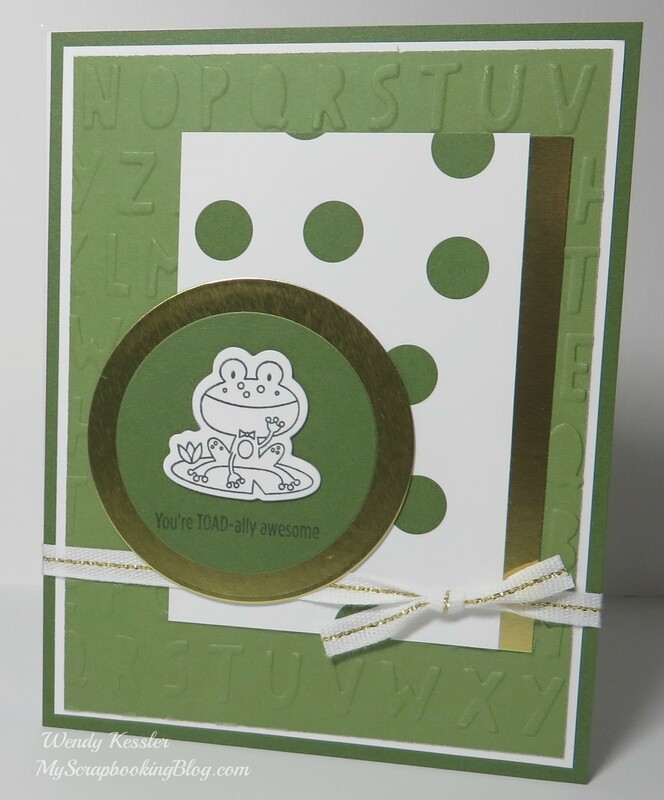 This will hold it in place while stamping overtop and you can reposition it to stamp on each card. 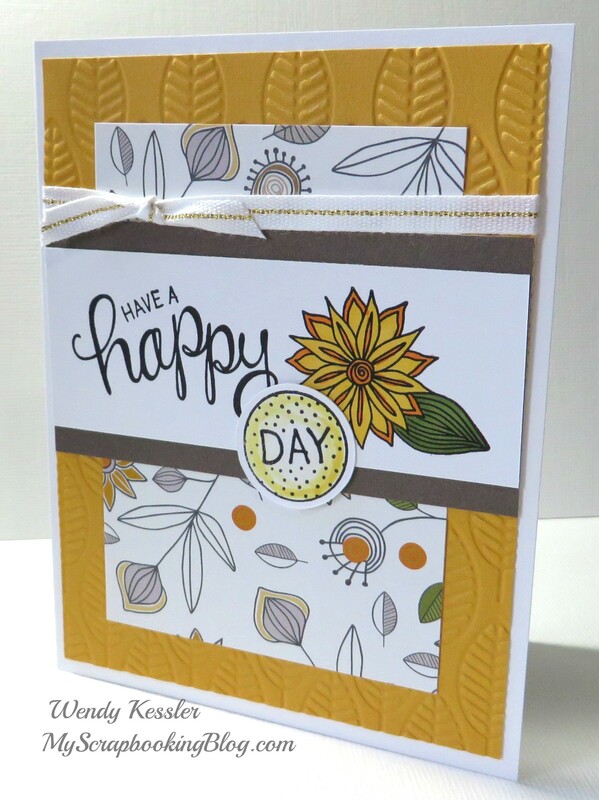 These first cards are made as designed in the kit and with only items that are included in the kit (except inks and coloring mediums). You can use markers, colored pencils, or watercolors for the coloring. 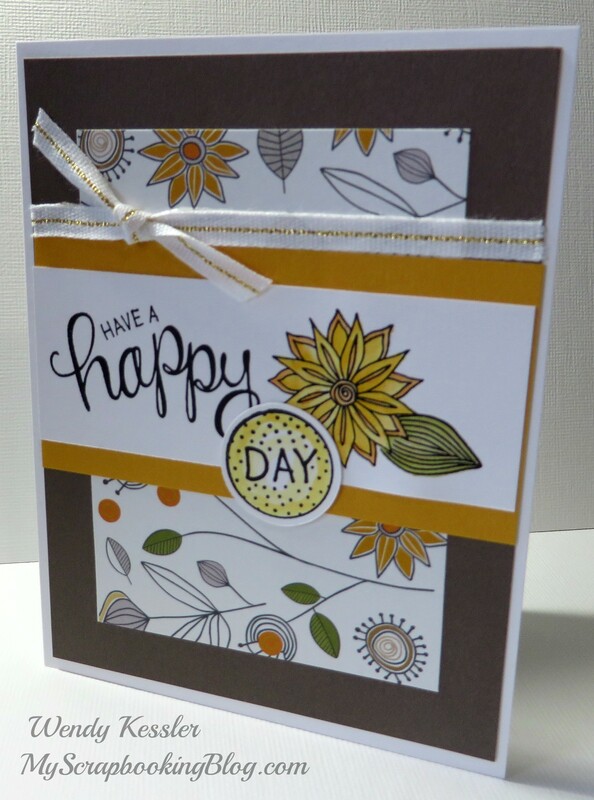 For these cards, I used the Fine Watercolor Brush and Inks (Goldrush, Saffron, and Fern). 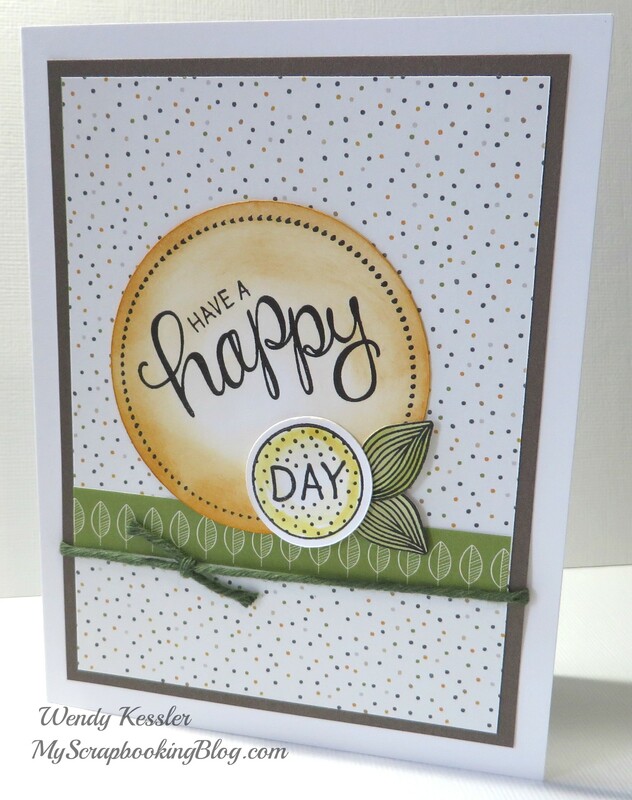 For this card, I changed the colors, embossed the cardstock, and used ShinHan markers for the coloring. 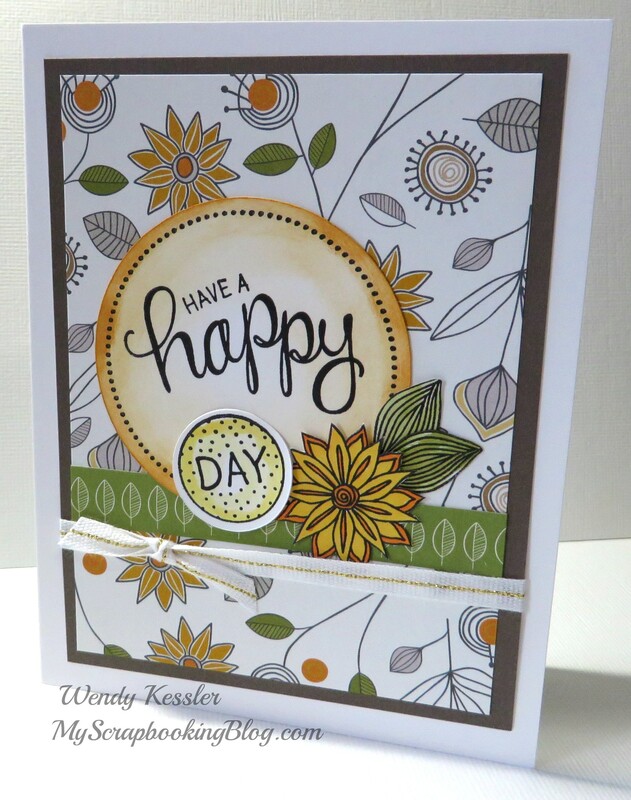 These next cards are the same design but as you can see by using different sides of the B&T paper, different stamped images, and changing the ribbon you can give them very different looks. The green twine is from the Enchantment Ribbon Pack. I also combined different coloring mediums on the same card. On the large circle, I used a sponge dauber with Goldrush ink. I preferred this over watercolor because it doesn’t curl the paper. I did use the waterbrush and Saffron ink on the smaller circles. The leaves are done with the waterbrush and Fern ink. I stamped them all on one sheet, watercolored over them going outside the lines, let it dry, then fussy cut them out. The flower is colored with ShinHan markers (Marigold and Golden Yellow).